Davis Woodland Carpet Care | "Your Local Professionals"
Best of Woodland " US Local Business Association"
Davis Woodland Carpet Care is a family owned and operated business since 1987. Michael Jr. and Marjorie Batis are the active owners. Michael Jr. is a certified technician and has given quality service for many years and will continue to do so. 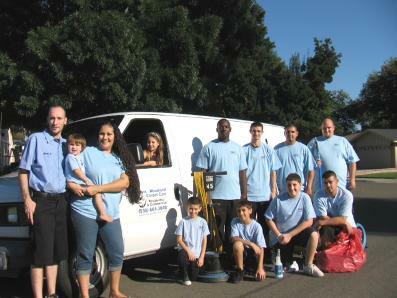 We service Yolo County, Solano County, Esparto, Dixon, and Sacramento. We are a certified firm with the IICRC. (Institute of Inspection, Cleaning and Restoration Certification) We have a code of ethics we strictly adhere to. We encourage you to review them for your peace of mind and understanding. § Conduct business affairs with honesty and integrity, never resorting to unfair trade practices that might reflect not only on our business, but on ourselves and the industry. § Maintain the highest professional standards of workmanship and service to our customers. § Avoid misrepresentation of products and services, false promises, misleading advertising, or any other promotion of our work that might lead to misconception on the part of the customer. § Participate in educational workshops and seminars to improve expertise and to keep abreast of new developments in technology and methods. § Do everything possible to enhance the reputation as skilled professionals offering honest, dependable competent service to the customer.